Apple made some major announcements yesterday, including two large screened iPhones and Apple's new payment service. But the most interesting announcement may have been the Apple Watch. In many ways, this announcement brings up more questions than answers. Yesterday's announcements clearly signaled Apple's intention to continue moving upmarket. While the 4.7" device became the new flagship iPhone 6, the 5.5" device (iPhone 6 Plus) was priced $100 above the flagship and seems to be positioned as a "super premium" phablet. Apple Pay was an interesting blend of NFC and TouchID but much like Passbook, it seems to be US-centric so far. Also, consumers still need to see enough value from the service to change a habit, which is always difficult. Of course, Apple doesn't need the payment service to dominate as long as it continues to attract premium buyers. From a consumer's perspective, why does this product category exist? The iPad replicated many of the PC's functions, but with a UI that was much easier to use. Does this imply that the Apple Watch is easier to operate than smartphones in certain use cases? If so, what are these use cases? Are app developers meant to discover these use cases? 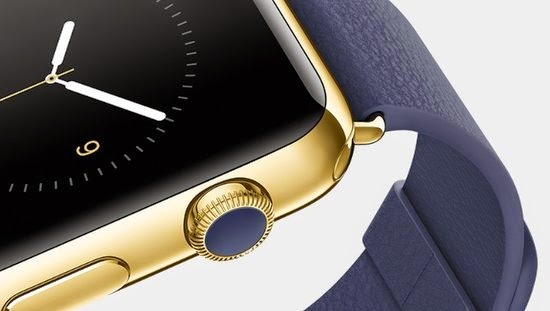 Will early adopters of the Apple Watch skew towards tech enthusiasts or the fashion conscious? Is there a meaningful overlap between these segments? How does the nature of early adopters affect app usage (engagement and types of apps used) and the uptake of mobile payments? How does this affect app developers? How does this affect the evolution of use cases for this product category and consequently, its addressable market? And finally, depending on the answers to the previous questions -- Are we, as tech observers, even equipped to analyze it? In my opinion, any analysis of the Apple Watch needs to answer most, if not all, of these questions. As of today, I don't even think Apple is in position to answer them. Of course, this will not stop polarized opinions about the imminent success or failure of this product. But I believe we need to wait and watch unfold before we can even attempt to understand it.